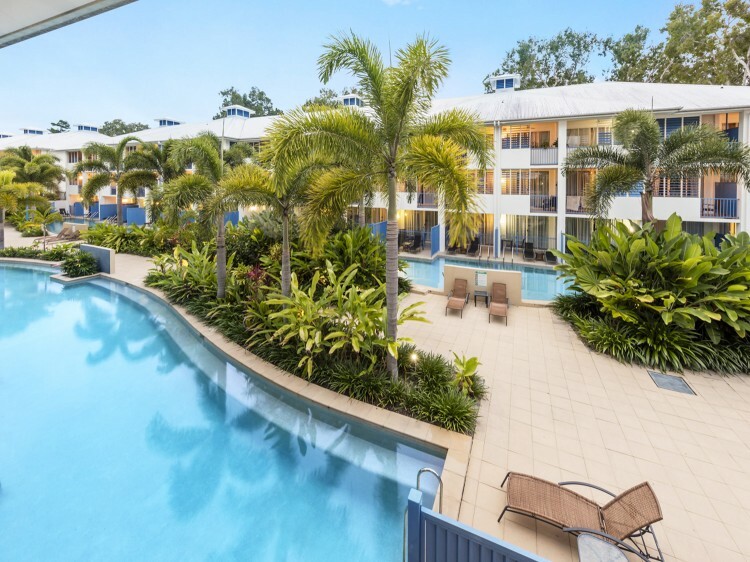 Escape to the blissful tropical paradise that is Oaks Lagoons in Port Douglas. The town is known for its long stretches of white sand beaches, un-abating sunshine, and an air of sophistication and charisma. Welcome to your tropical getaway. Oaks Lagoons boasts luxurious facilities, the most impressive of which are the six separate lagoon pools peppered across the resort framed by luscious gardens to give the area a tropical atmosphere. Among the lagoons is a lavish and expansive barbecue area perfect for an afternoon picnic. There is a tour desk with helpful and friendly staff to help book any excursions or attraction tickets, as well as luggage storage, guest laundry, and elevators. 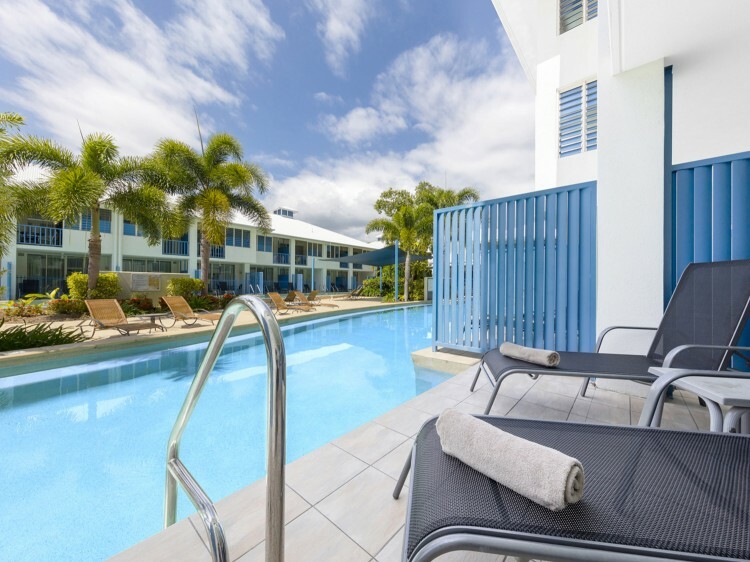 Spacious and stylish accommodation options range from hotel rooms with large corner spas, to self-contained one and two bedroom apartments complete with fully equipped kitchen and laundry facilities. All feature air-conditioning, cable television, internet access, contemporary furnishings and private balconies. And for the ultimate in luxury, choose to stay in one of the resort’s luxurious ‘swim out’ rooms, boasting direct pool access, or an apartment with a private plunge pool and spa. Port Douglas is the ultimate escape during the winter months – the gem on Tropical North Queensland’s crown is one of the only places in the world where two world heritage-listed natural wonders sit side by side. 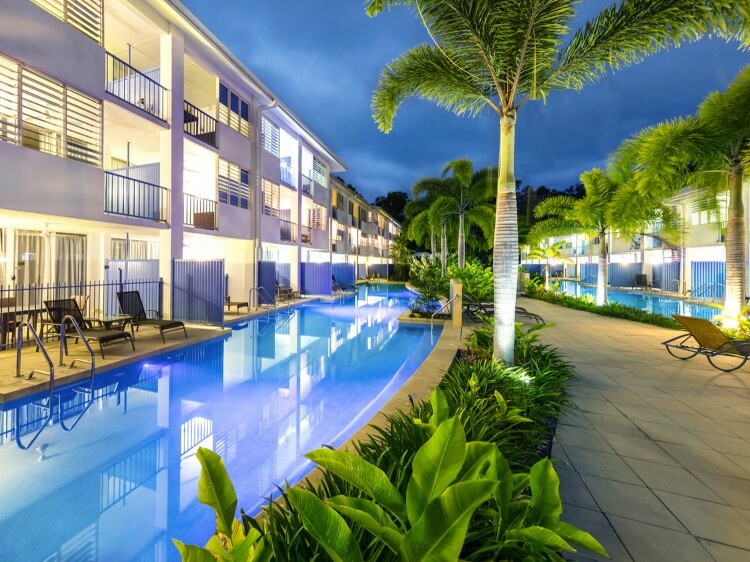 The Daintree Rainforest lies to the west and the underwater realm of the Great Barrier Reef covers the east and stunning resorts such as Oaks Lagoons reside in town, it truly is a village filled with natural beauty. Hotel-style room with large private corner spa on balcony. Hotel-style room with direct access to one of 6 lagoon style swimming pools from your private balcony. Spacious one bedroom apartment with full kitchen and laundry facilities, additional sitting room with sofa bed (fee applies) and desk. Spacious one bedroom apartment with full kitchen and laundry facilities, additional sitting room with sofa bed (fee applies) plus direct access to one of the 6 lagoon style swimming pool from your private balcony. Spacious one bedroom apartment with full kitchen and laundry facilities, private plunge pool with large courtyard area and sun lounges. Consists of interconnecting Hotel Spa and 1 Bedroom Deluxe Apartment. Consists of interconnecting Hotel Swimout and 1 Bedroom Deluxe Apartment. Consists of interconnecting Hotel Spa and 1 Bedroom Plunge Pool Apartment. Spacious 3 bedroom, 2 bathroom interconnecting apartment with full kitchen and laundry facilities. Large private corner spa on balcony and outdoor dining table. Spacious 3 bedroom, 2 bathroom interconnecting apartment with full kitchen and laundry facilities. Swimouts offer direct access to one of 6 lagoon style swimming pools from your private balcony.